Across from the Police Dept. Headquarters. Two blocks from Market Square. "The reverent, the irreverent and the irrelevant"
Polo still has a following in Western Texas. The sport is popular and quietly fashionable in certain affluent areas of San Antonio and the Hill Country where men and women admire fine horses and appreciate horsemanship." 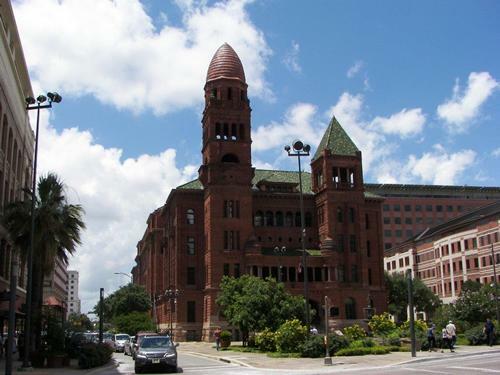 By 1885 San Antonio was a depot for polo ponies. Polo players and their representatives from both sides of the Atlantic converged on Narciso Leal's Livestock Exchange at 226 Dolorosa Street to buy Texas mustangs. 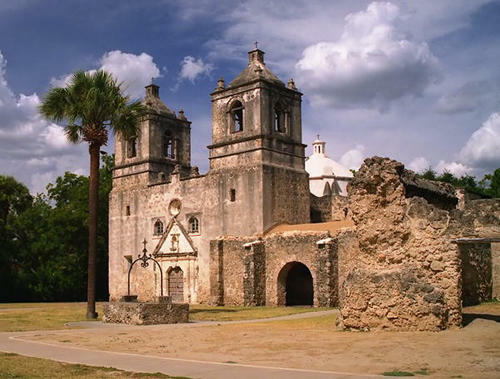 In March of 1840, a meeting took place in old San Antonio between representatives of the government of the Republic of Texas and the Penateka Comanches to discuss terms of a peace treaty. The disastrous results of this meeting would soon lead to the Great Comanche Raid of 1840 and the Battle of Plum Creek. If even half the legends passed down through generations are true, the Old West was a riotous and exciting place. 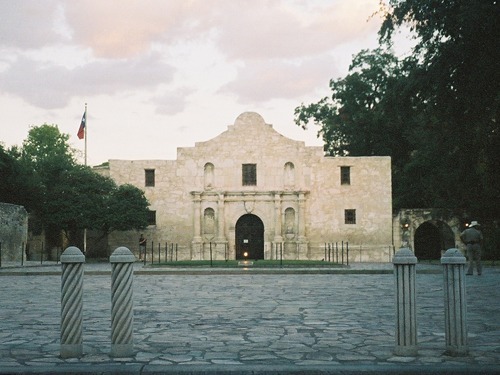 Whether heroes or desperadoes, these legendary people all seem to have either been born in, traveled through, or fought for the great Republic of Texas... But they didn't fight, shoot, and rustle all the time. They needed rest. They needed relaxation. They needed love. And Fannie Porter of San Antonio supplied these diversions. This is her story. "... Even after the War, with much improved roads and a much lessened Indian problem, it still took freight wagons the better part of a week to travel from San Antonio to Fredericksburg... The people north and west of San Antonio wanted and needed a railroad..."
Thousands of people die every year in traffic crashes, but the horse and buggy era had its injurious and fatal accidents as well. 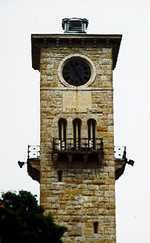 "[Ernst Hermann Altgelt] established the city's first "suburb." He named the first street in it "King William" (for German King Wilhelm).... He built the first house on that street and, its' still occupied." An internationally acclaimed musician, Sister Elaine is well known for her extensive work in musical composition. She studied music at Our Lady of the Lake College in San Antonio. At age 19 she joined the Sisters of the Divine Providence and took the name Sister Elaine. Pan Zareta, the greatest filly in horse racing history, set records at race tracks in three countries over the course of six years. She was inducted in the Fair Ground's Racing Hall of Fame in New Orleans, the National Museum Racing's Hall of Fame in Saratoga Springs, New York and in the Texas Race Horse Hall of Fame at Retama Park in San Antonio. In Bandera and Medina Counties. 45 miles NW of San Antonio. 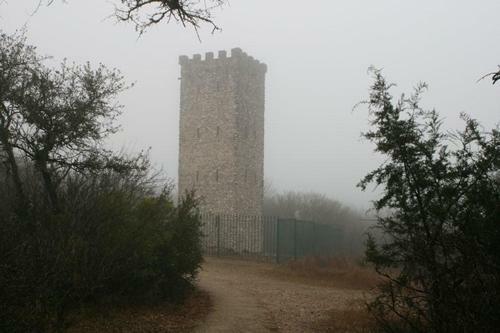 Approximately 30 miles north of downtown San Antonio in western Comal County.